Keller Williams Georgia’s #1 Real Estate Team has GRIT! Last week, I spent two days in Austin, Texas with Gary Keller and 100 of the best Keller Williams agents across the country masterminding! 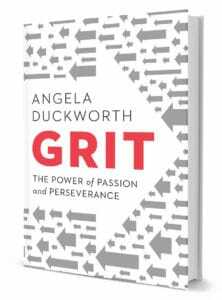 And, this time, our discussion revolved around Grit! No, not grits – but I love those too! Especially with lots of cheese! As I sat in that room with agents from Hawaii to Alaska, Texas, New York, and every state in between, it became apparent to me that everyone in that room had grit. And, the one with the most grit in the room that day was Keller Williams Founder and Chairman, Gary Keller. Why? He leads the largest real estate company in the world with 140,000+ agents. And, he’d tell you that he’s the grittiest because he has had more failures than any of us. You see, what I’ve come to learn over the years is that you don’t get it “right” by getting it right all the time. Failure is not the opposite of success, it’s part of it! And, those that fall seven times and stand up 8, WIN! So, why hire a real estate agent with grit? You want an agent with that “Never give up, never surrender” attitude. You want an agent that is never satisfied AND their own harshest critic. You want an agent with stamina! You want an agent that is learning based and spends time in deliberate practice of their craft! Real Estate is our PASSION. And, while the average national real estate agent sells 7 homes per year, our average agent sells almost 40 homes per year. They have PERESEVERED. They get up every morning unsatisfied and practice every single day to get better so they can be the very best agent they can be and represent our clients at the best level possible! If you’re looking for a GRITTY team of real estate agents, look no further! The Peters Company is Georgia’s #1 Keller Williams Real Estate Team 2015 and GRITTY as can be!